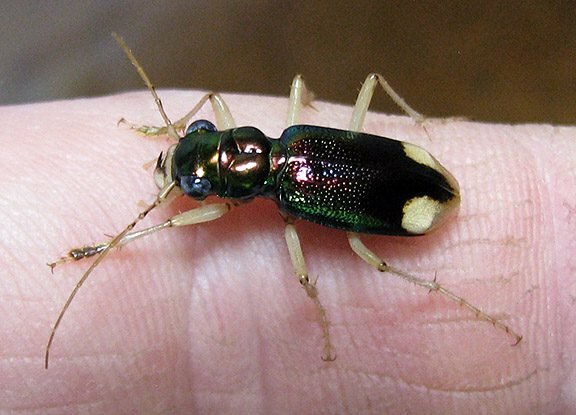 A tiger beetle (Tetracha carolina) that I found crawling up the trunk of an oak tree yesterday. 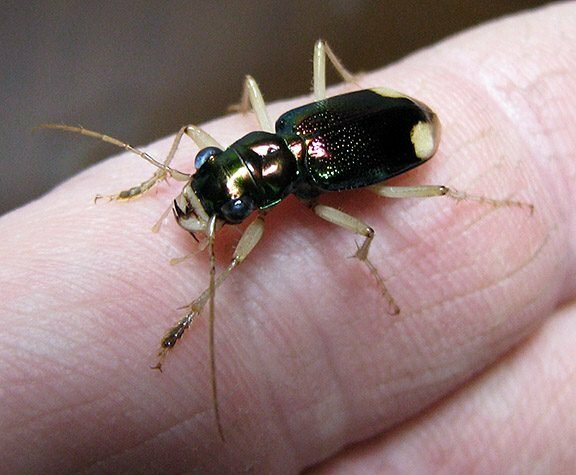 It's difficult to capture its metallic green colour in a photo - it changes hue with the viewing angle. That thing looks like it has a less-than-pleasant bite. Beautiful coloration, though!